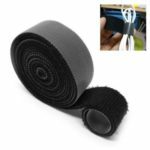 The fastening tape is perfect for bundling cables together and keeping things neat and tidy. 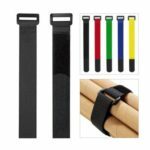 The cable ties are easy to remove or replace due to the velcro closure. Get it, and keep your cables tidy and well organized. 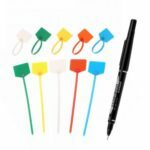 Made from high quality nylon material, with hook material on one side and loop material on the other. 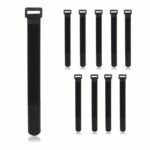 These fastening cable ties are designed for you to tie cables or other fastening/attaching needs. 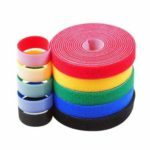 The hook and loop tape can be cut to different lengths that you need. Whether length bundle of cables you are doing you can cut the length you need. 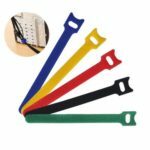 The fastening tape is a low profile and an economical option of cord organization, management and storage for computer, guitar cables, speaker and mic wires and electronics extension cords. It is ideal for keeping all kinds of cords well organized in tidy place. 5m whole length, 1cm in width, self-gripping and firm, while easy to open and wrap.